The Blues started this season in good form and for the opening months of the campaign, it looked as though they could potentially challenge for the title this season as well as make a return to the top four after having finished fifth last season. However, their performances began to take a dip, and the Blues’ 2-0 defeat against Everton on Sunday leaves them in sixth position in the Premier League standings. They are 21 points adrift of current leaders Liverpool and also three points adrift of fourth-placed Arsenal. 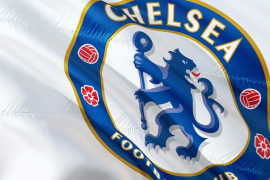 Chelsea do still have the potential to win a place in next season’s Champions League (either by securing a top-four finish in the domestic league or by winning the Europa League), but at the moment, winning the Europa League actually looks like an easier route to next seasons Champions League for Maurizio Sarri’s charges. They are set to advance to the quarter-finals of Europe’s second-tier club competition, having claimed an 8-0 aggregate win against Dynamo Kyiv following their last-16 second-leg clash last week. If one thing is for sure about this season, it’s that the Blues have struggled for consistency. Achieving a top-four finish is certainly still possible but the club will need a massive wake-up call, starting from their game against Cardiff City after the international break. Azpilicueta has admitted that his side’s current level of performances are a cause for concern. As quoted by Goal, the Spaniard said: “I don’t see just the Europa League as the only way of being in the Champions League because Chelsea’s place is not to be sixth in the Premier League so I cannot accept this. 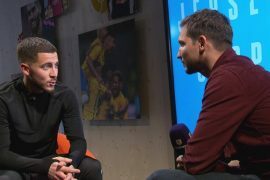 “The Europa League is a way of going into the Champions League, it is a trophy, and we will play until the end but we are not in a position in the league where you can say we are not going to reach the Champions League spots.